You are looking for a budget car in Morton Grove, IL but feeling reluctant due to trust and reliability issues? 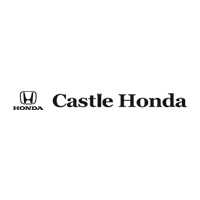 Do not worry, as Castle Honda is here to serve you with its massive used vehicles’ inventory. We have a wide range of Honda cars, trucks, minivans, crossovers and hatchbacks. Use our online car finder to search for a Honda with specific trim level or features. Yet if you feel any difficulty, just call our customer care and our sales department staff will locate your perfect match in no time. As you select your desired one from Castle Honda used vehicles in Morton Grove, IL, schedule a free test drive and enjoy the on-road experience of your dream car. Castle Honda, Morton Grove, IL also offers used vehicles’ financing. Our financial application & procedures are transparent and hassle-free. We are affiliated with many financial institutions of Morton Grove, IL who release credit for customers with all sorts of financing history. Visit Castle Honda, Morton Grove, IL and score a cost effective used vehicles’ deal with full confidence as all these cars are duly checked by our factory certified mechanics in our service center.